Into The Great Outdoors With Great Lake Swimmers | True Endeavors Presents: music, tours, tickets, mp3 downloads, concert pictures, videos, Madison WI. 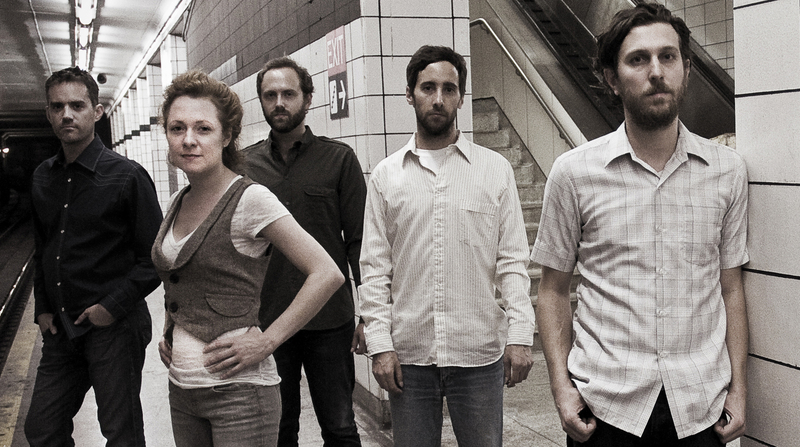 Great Lake Swimmers are a band at home in the wild. Listening to them, you get the feeling that you’re in the wilderness yourself—maybe in an old, creaky boat surrounded by gray water. You’re in no particular hurry. You just let the waves push you where they want you to go, comfortable just letting them lap against you until you realize that you’ve been taken to a completely new place. This is not a far stretch, really. Great Lake Swimmers have been known to make a studio in the wildest of places; places you have to hike to; places you have to ferry gear across in little boats. Their latest album, New Wild Everywhere, is no exception. The song “The Great Exhale,” for example (quite possibly the record’s high point), was recorded in an abandoned subway station in Toronto. They seem to find bits of nature wherever they are—a great theme running throughout the record. Tony Dekker’s songwriting mines these profound reflections well, weaving high-caliber pop melodies and tasteful instrumentation into the mix effortlessly. The light touches of instrumentation such as the lilting banjo line in “Cornflower Blue,” or the subtle accordion in “Ballad of a Fisherman’s Wife” make New Wild Everywhere a powerful record. Dekker’s voice slides in well. “The Knife,” in particular, processes one of the most poignant, sorrow-tinged vocal deliveries. At times he echoes the backwoods poetics of Bonnie Prince Billy and the idealism of Neil Young. Wonderful complimentary vocal harmonies are provided by Miranda Mulholland. It’s a polished record, as far as production goes—perhaps undermining some of the more rustic elements of the group. It’s the folk elements that shine through—steel guitar, fiddle, and upright bass. They seem to want to break through to the forefront, make the record a bit grittier. However, the songs are strong, and the melodies bright. It’s clear that the band has an incredibly tasteful sense of songwriting. Great Lake Swimmers owe a debt to the backwoods folk of Appalachia; they owe a debt to the rollicking saloon-slaying country of old Nashville; they owe a debt to fellow countryman Neil Young. However, despite standing on the shoulders of all these musical giants, their blend of Americana, folk, country, and chamber pop speaks a musical language that is unique to them. Perhaps the best way to encounter them would be surrounded by all the trees, animals, and elements that make up their woodsy sound. Though if you prefer all the comforts of home, New Wild Everywhere will take you deep into the great outdoors, without ever having to leave your house. See the band live in Madison at the High Noon Saloon tomorrow night (Wednesday, May 2, 2012). Get tickets here!